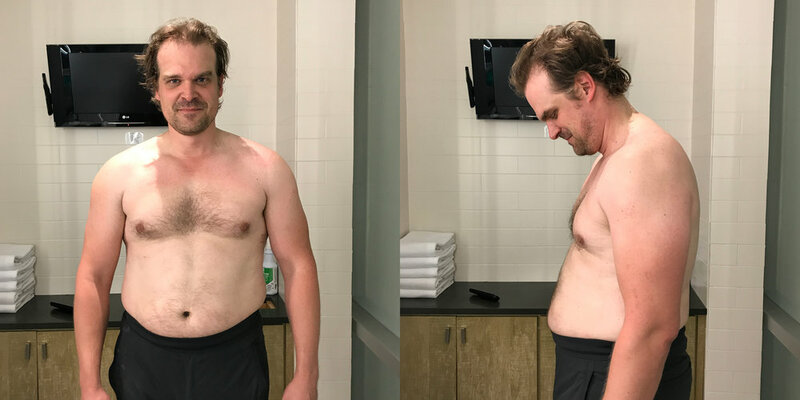 David Harbour Workout Routine and Diet Plan: How he’s Becoming our New Hellboy! The new Hellboy is Superhero…. David Harbour’s Hellboy compared to Ron Perlman’s is kind of on a new level. Not to say Perlman’s wasn’t jacked…but I’m stoked for our new take on it. Harbour has been in roles in The Green Hornet, The Equalizer, Suicide Squad, and probably most famously the new-ish hit: Stranger Things. In my personal opinion, and obviously not as a movie critic, I think his best and largest role has clearly been Stranger Things, but Hellboy is going to take him to that next level. Harbour is a big man. He doesn’t stand quite around the tallest 6’4-6’10 range like The Mountain, Batista, Jason Momoa and Ben Affleck, but he’s damn close. He’s more around the range of guys like our triple Chris threat (even an inch or so taller), AKA Chris Hemsworth, Chris Evans, and Chris Pratt. And, of course, that means he’s towering over guys like Zac Efron, Mark Wahlberg, Tom Holland, and Kit Harington. Seems about right to be playing Hellboy. But, don’t worry if you’re not huge like Harbour; his routine is made to be good for anyone and everyone. Harbour is working with celebrity trainer Don Saladino, who has also worked with stud Ryan Reynolds (aka Deadpool). 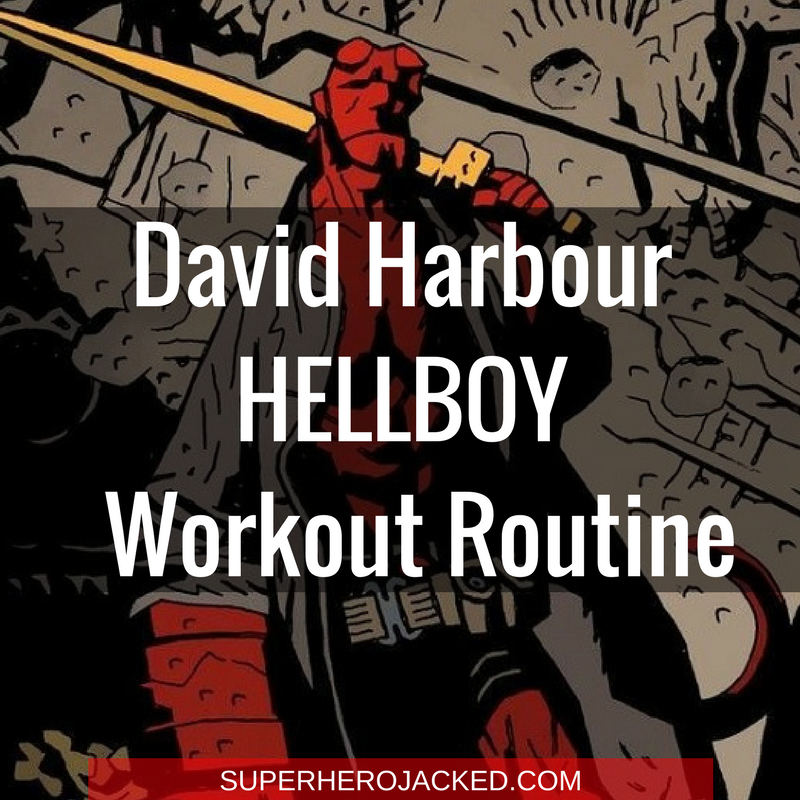 Not only does Saladino have Harbour on a 10+ week boot camp regime, but he also has him eating healthier and cutting back on certain calories to get shredded for Hellboy. That’s why our Nutrition Classes (Samurais, Hunter Gatherers, Spartans, Vikings, Monks, Minimalists) are all structured around peoples specific goals and needs within The Academy. 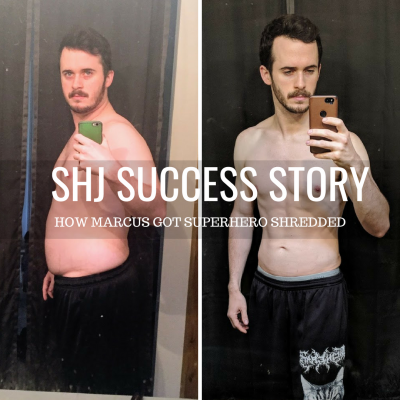 That being said, I believe an approach to getting shredded like Hellboy, regardless of your duration, could definitely be achieved with our nutrition pillars. 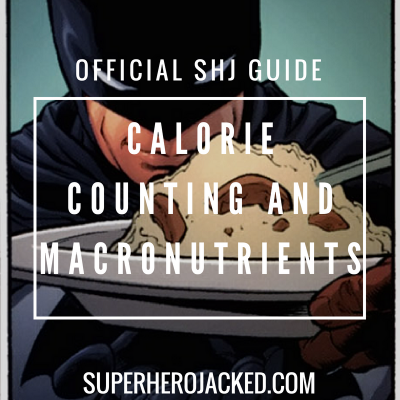 Things like intermittent fasting, and our specific dietary guidelines definitely take your physique to a whole new level. And, I’m sure David Harbour will want to sustain this and maintain it even after his role as Hellboy. He’s currently following his progress via pictures very carefully. Thankfully for us, and possibly for Harbour and Saladino as well, we not only have seen Ryan Reynold’s routine, but we also have video footage of some of Harbour’s workout. What we can tell from the videos that I’ve seen is that Saladino has Harbour mixing a typical bodybuilding style routine and movements with that of a circuit styled and higher intensity weight/fat loss routine. It makes sense for what Harbour’s goals are, and it makes the routine even more fun for us to take advantage of! Who doesn’t want fat burning mixed with muscle building/toning? 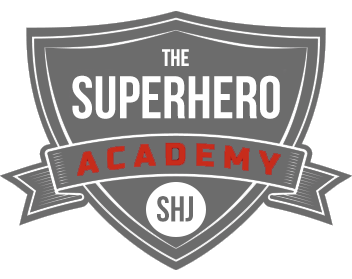 This is going to be like our Weight Loss (Daredevil / Elektra) Path meets our Bodybuilding Paths (Batman / Wonder Woman) within The Academy! Sticking to a typical bodybuilding style path we’re going to train 4 days a week minimum to get all our compound lifts in, and then within those I’m also going to be programming some circuits for the toning/cutting aspect as well.